Add fluttering sweetness to all your projects when you stitch out this delightful flying friend! 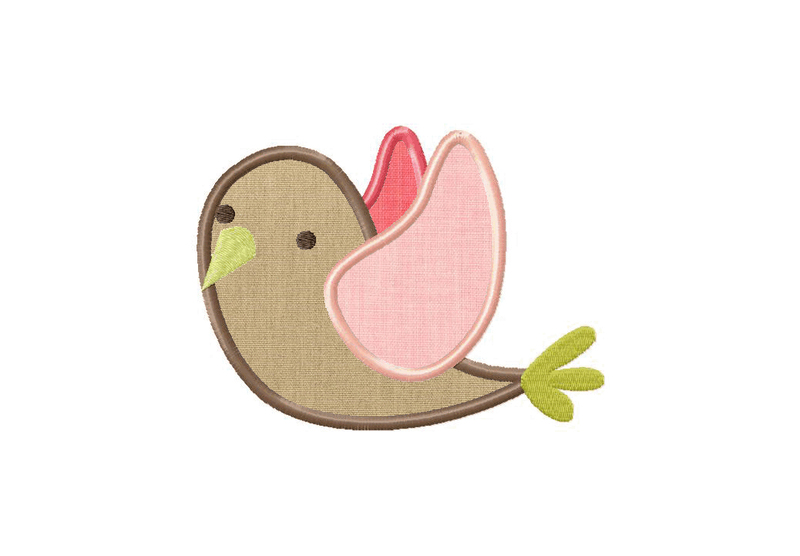 Download the Little Birdie Machine Embroidery Design for FREE for one day only. Never miss another design when you subscribe to our Gold Membership. For more information on our Gold Membership click HERE. The Little Birdie Machine Embroidery Design includes both applique and filled stitch, PDF color sheet and all of the following sizes: 2.5" 3" 3.5" 4" 4.5" 5" & 5.5"
Celebrate a major accomplishment and a proud moment when you stitch out this special machine embroidery design! Download the Class of 2013 Machine Embroidery Design for FREE for one day only. Get ready for high speed adventure when you stitch out this awesome lightening fast water vehicle. 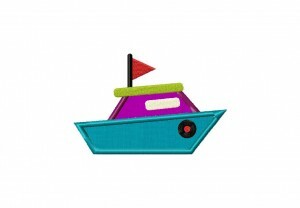 Download the Speed Boat Machine Embroidery Design for FREE for one day only. The Speed Boat Machine Embroidery Design includes both applique and filled stitch, PDF color sheet and all of the following sizes: 2.5" 3" 3.5" 4" 4.5" 5" & 5.5"
Celebrate the coming of spring when you stitch out this bright and colorful machine embroidery or applique design. 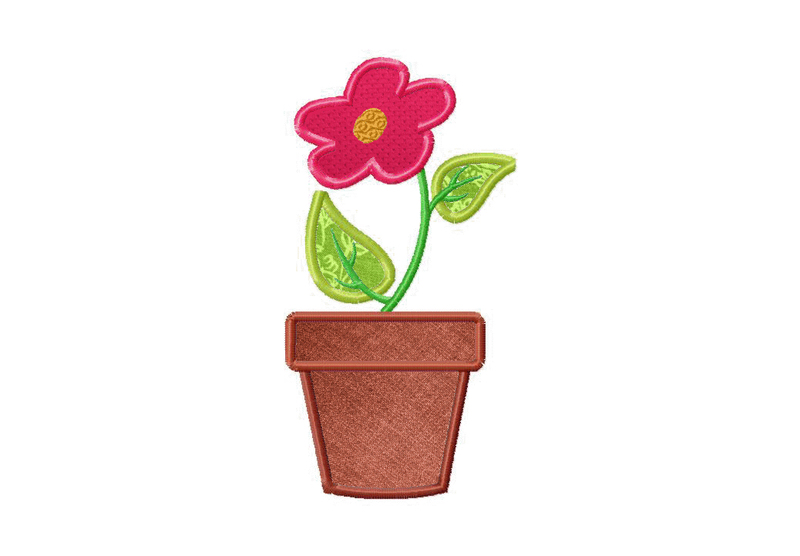 Download the Flower Pot Machine Embroidery Design for FREE for one day only. The Flower Pot Machine Embroidery Design includes both applique and filled stitch, PDF color sheet and all of the following sizes: 2.5" 3" 3.5" 4" 4.5" 5" & 5.5"
Look sharp when you stitch out this super fun and hip applique machine embroidery design. Looks fantastic o a baby onsie! 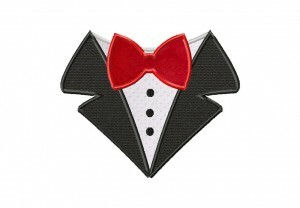 Download the Bow Tie Shirt Machine Applique Design for free for one day only. The Bow Tie Shirt Machine Applique Design includes PDF color sheet and all of the following sizes: 3.5" 4" 4.5" 5" 5.5" 6" 6.5" 7" 7.5" & 8"
Make an adorable statement when you stitch out this wonderful machine embroidery design on your project this Easter season. 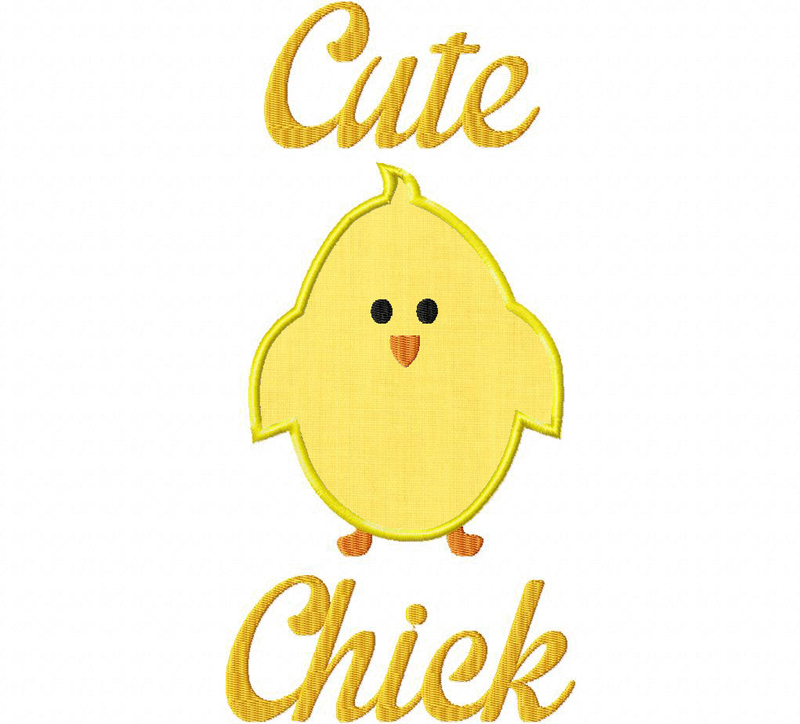 Download the Cute Chick Machine Embroidery Design for free for one day only. Stitch out today's adorable Easter design featuring the marshmallow candy we all know and love. 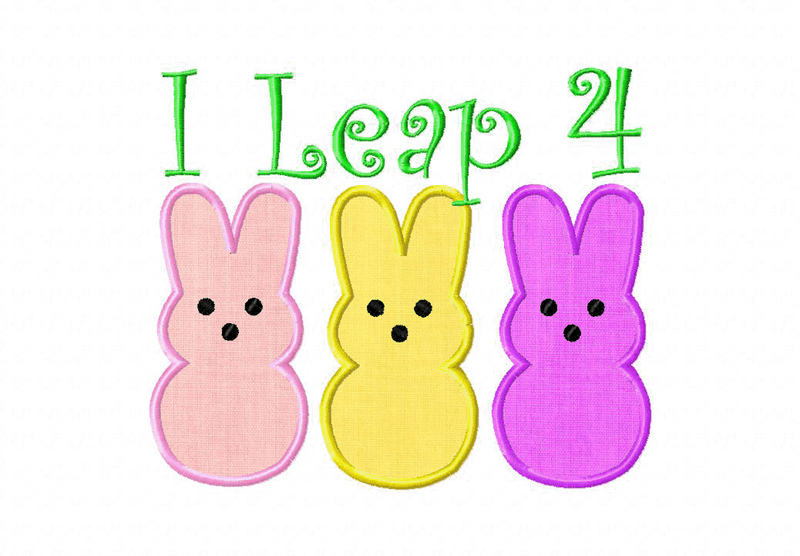 Download the I Leap 4 Easter Candy Machine Embroidery Design for free for one day only. 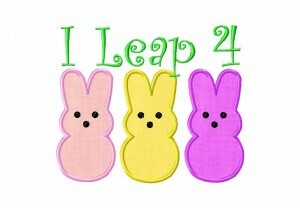 Easter is fast approaching! 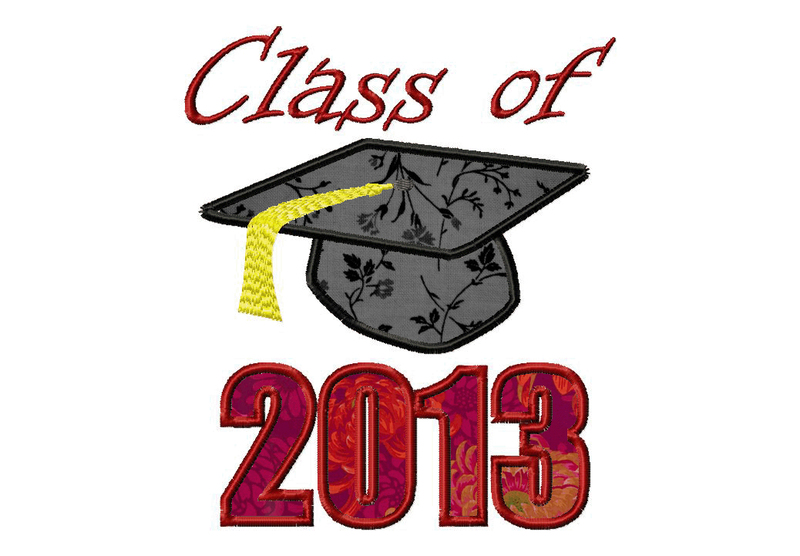 Create something memorable with today's ever useful free machine embroidery design. Download the Bunny Face Machine Embroidery Design for free for one day only. 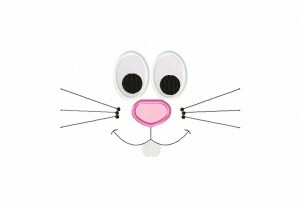 The Bunny Face Machine Embroidery Design includes both applique and filled stitch, PDF color sheet and all of the following sizes: 2.5" 3" 3.5" 4" 4.5" 5" 5.5" 6" 6.5" & 7"
Celebrate Mardi Gras very own Fat Tuesday when you stitch out this New Orleans styled machine embroidery design! 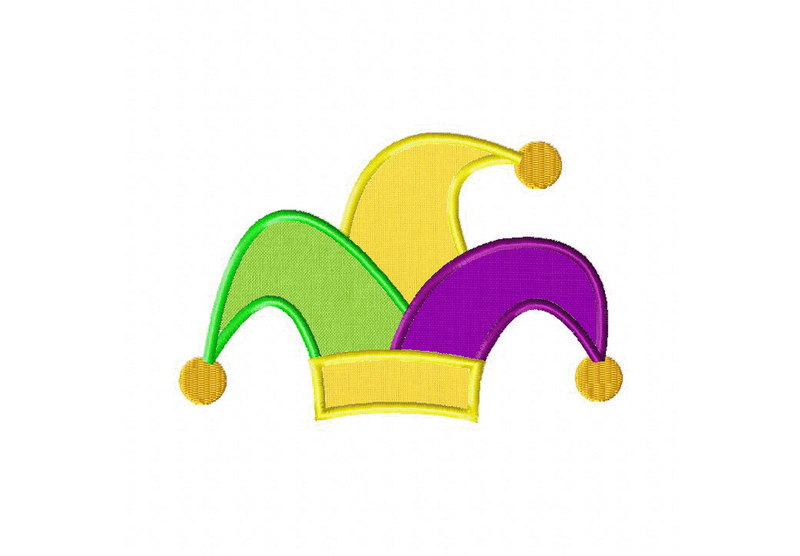 Download the Jester Hat Machine Embroidery Design for free for one day only. The Jester Hat Machine Embroidery Design includes both applique and filled stitch, PDF color sheet and all of the following sizes: 1" 1.5" 2" 2.5" 3" 3.5" 4" 4.5" 5" 5.5" & 6"
Make a strategic move when you stitch out today's game night free machine embroidery design! 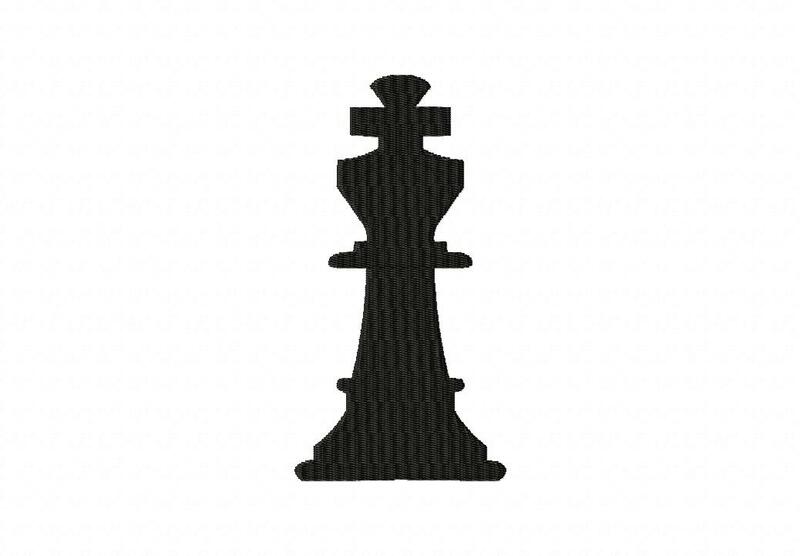 Download the Chess King Machine Embroidery Design for free for one day only. 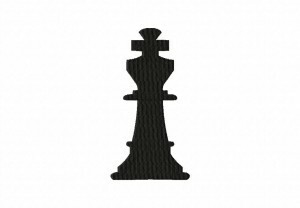 The Chess King Machine Embroidery Design includes both applique and filled stitch, PDF color sheet and all of the following sizes: 1" 1.5" 2" 2.5" 3" 3.5" 4" 4.5" 5" 5.5" & 6"